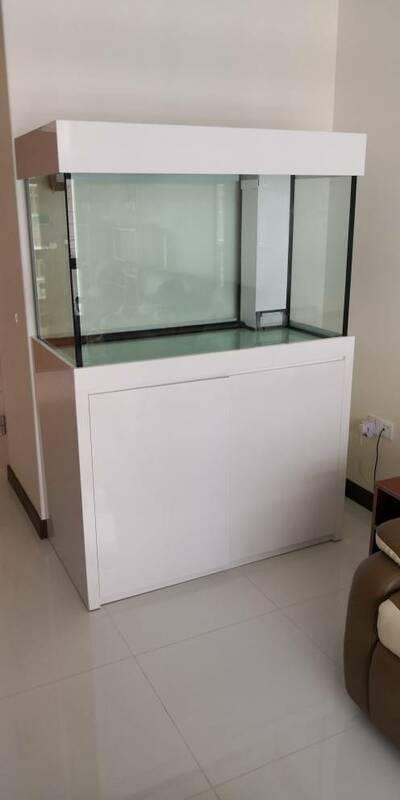 Hi I just got a 4x2x2 tank with sump from my brother. 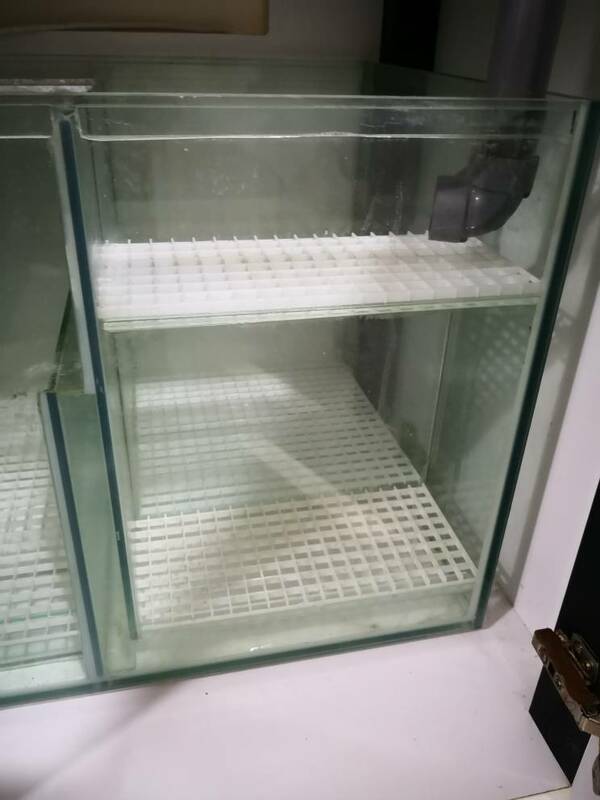 Started few months back to research but after getting the tank got a shock don't know to start the sump. open your cabinet so that can see the setup and then advice you. The middle piece I had already taken out just now. then for the 3rd compartment, have a) return pump b) algae scrubber (to get rid of nitrates). 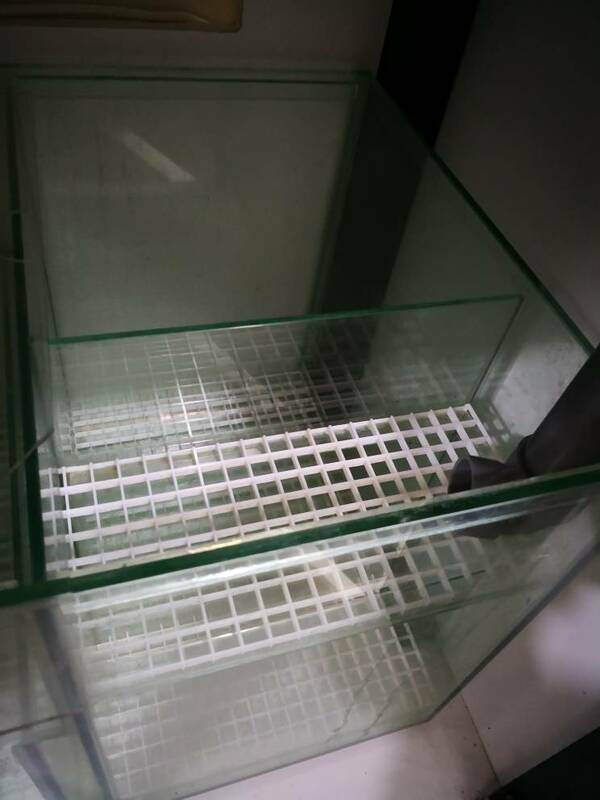 perhaps a full picture of the sump would be help to fully understand your sump setup. This is one full view and top view of the inlet side. 3rd compartment divide by half horizontal - you can dozing medium (for SPS) and then return pump. You can try to fill with normal tap water- run the pump first and check everything is working well, no leaks, no overflow/flooding of sump before committing to adding the salt. 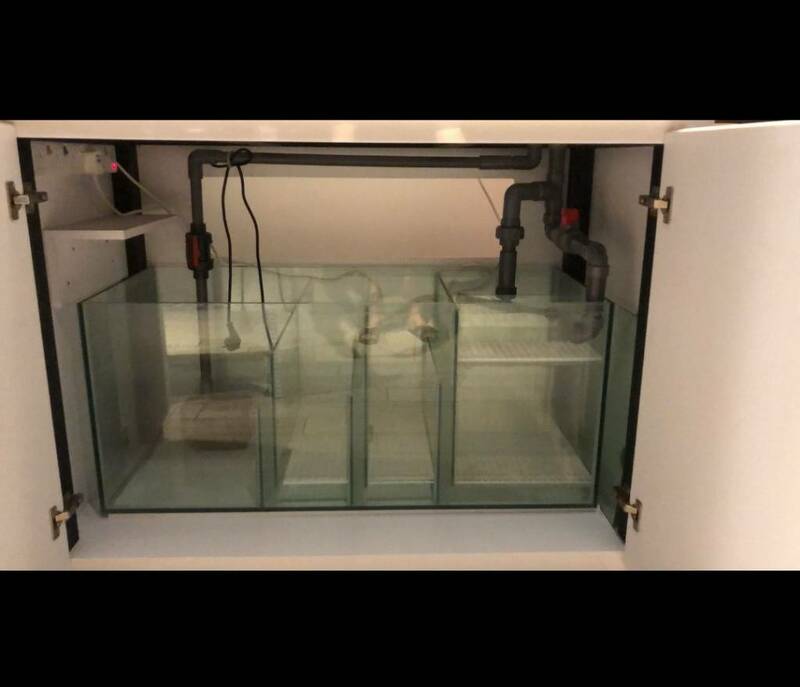 After that, you can add skimmer, deep sand bed and start the cycling of the tank. This would take about 2- 4 weeks depending on the sand/live rock etc etc that you use. Good luck on your setting up. Need some advice manage to put in water for the tank but had to stop for the pass 2 days as the pipe for output is too short splashing the water. Today manage to buy the pipe to lengthen it. On it all a lot of algae I think came out. Need to change the water again??? Ooohh , it gonna be an expensive venture for you if you have not done your research . I do not want to be a wet blanket but it looks that way . I hope you take your time to read up else you might get frustrated . Last edited by BFG; 15th Oct 2018 at 17:00.
yes, it is important to do your research, but with patience, you can get it to work. Good luck! Your post #7 actually the sump placement is wrong , it should be the other way round . The return pump should flow straight up into the display tank instead of the current one that you use . The water coming down from the diaplay tank should have the bend as the current one you are using for the water pump . 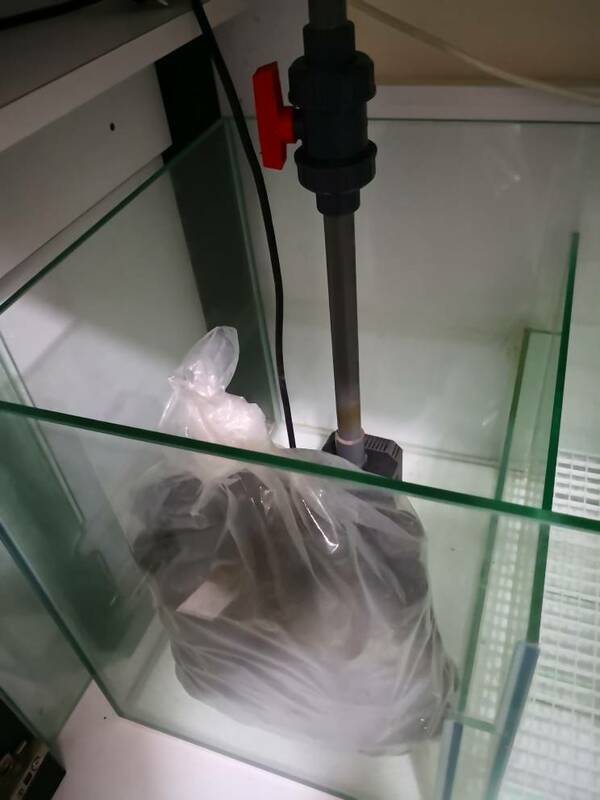 Reason being , for the return pump pvc piping , you should not have bends under the display tank as it will lower the flow rate . This should be done in the 1st place . Something that can be avoided earlier should be avoided . The water flowing into the overflow and down the sump tank through the pvc pipe is the one that needs a few bends in the piping . If it is still possible , turn the sump the other way round . I am changing the pipes as there is too much algae inside it. 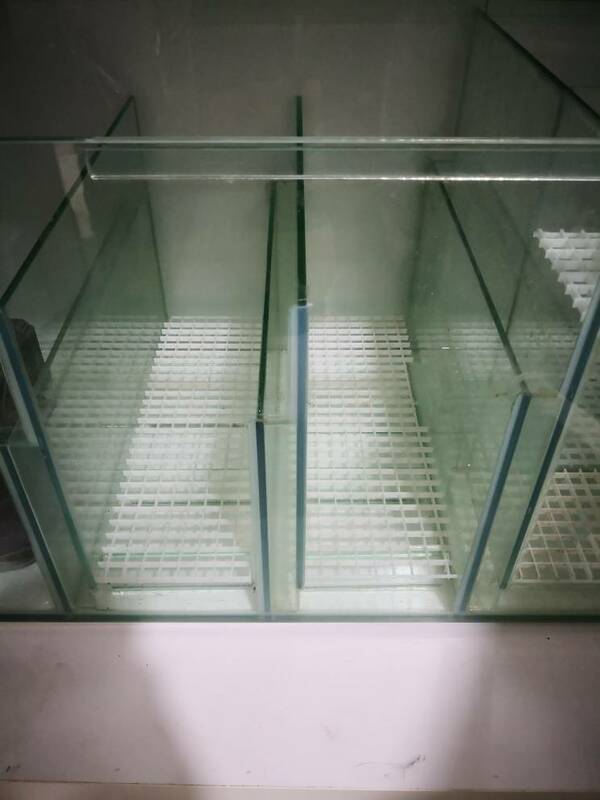 I have been running the tank for almost one month, I have mixture of rock, I got one rock scape from a fellow reefer. 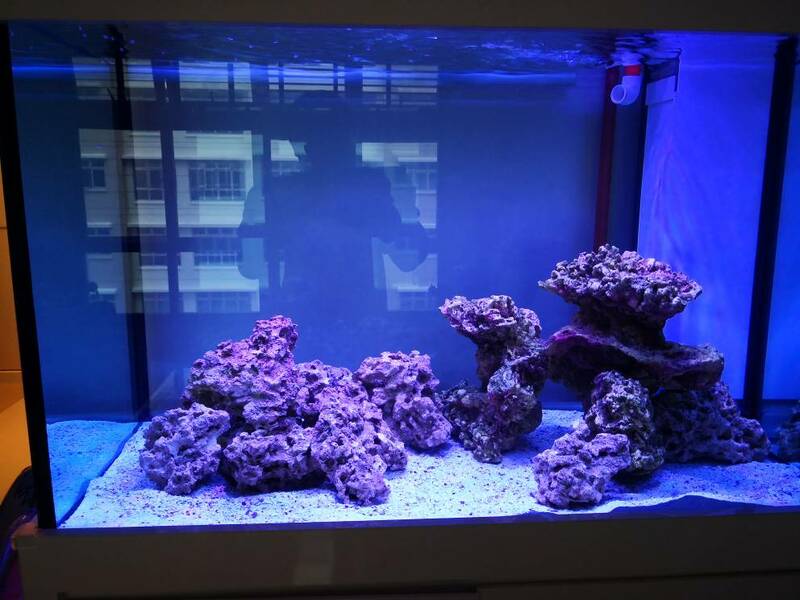 Read from some where this type of rock scape is not good for coral? Anyone can advise? Nice rock scape! Don't worry about it being bare now. The rock scape is good for filling up with corals. Maybe the left side of the tank, remove of of the lower rock to create a "cave". 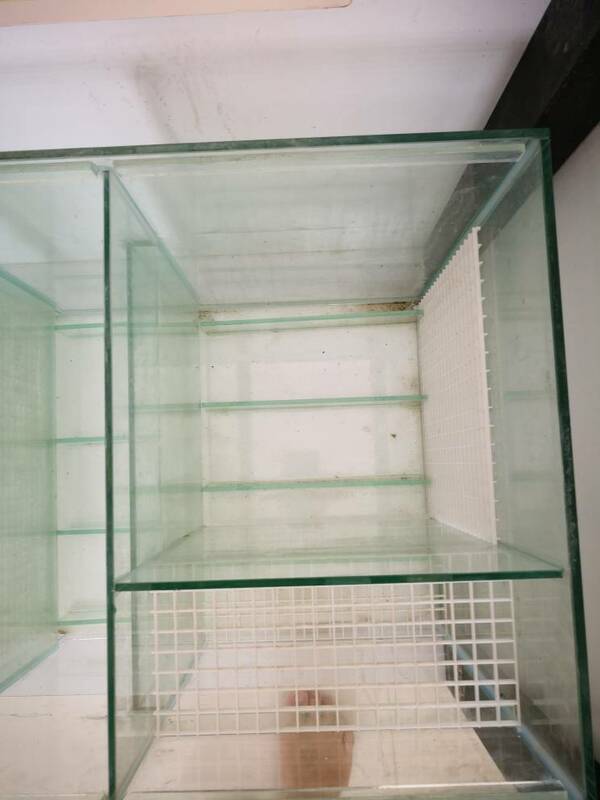 Allows fishes to hide and won't trap detritus inside.